So when Emmanuel Community retained CSD Group of Fort Wayne to redesign its lighting system, it wasn’t surprising that the church had one overriding request: “Give us something that doesn’t just light our stage, but engages our entire community of worshippers.” Doug Hood, president of CSD, and his team met this mission with flying colors using a collection of 60 LED fixtures from CHAUVET Professional. 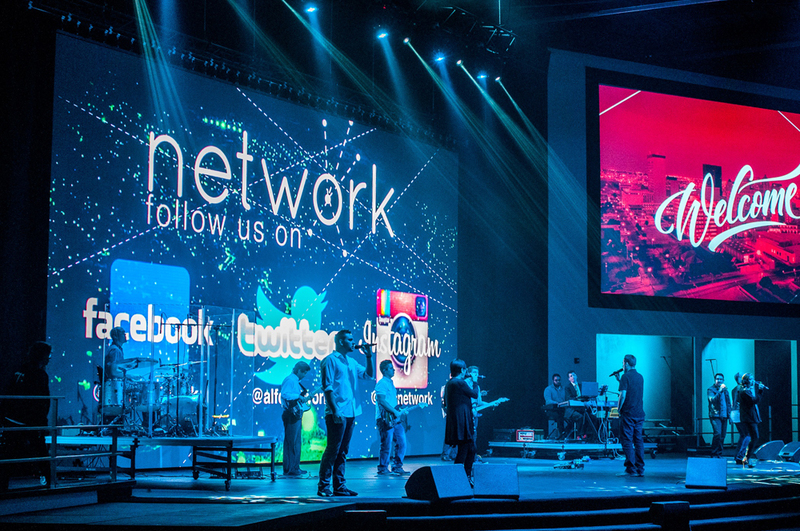 The Abundant Living Faith Center (ALFC) in El Paso, Texas, is a nondenominational, multicultural church with a large congregation of 30,000+ members and a spacious 3,620-seat main auditorium. 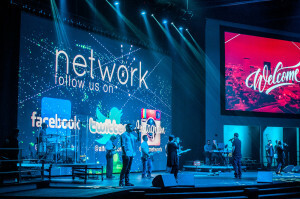 The ministry sought to improve the quality of the auditorium stage’s visual backdrop and recently installed a large high-definition LED video wall by Elation Professional. 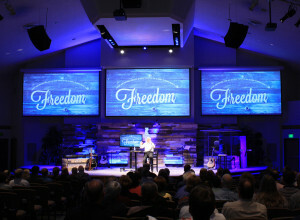 Design and systems integration company Michael Garrison Associates (MGA), who has a history of cooperation with the church dating back to 2004, replaced the mega-church’s original center projection screen with a 6mm pixel pitch EZ6 LED screen that produces high definition video. The EZ6 video wall is 38’ wide by 20’ high (20 x 11 panels, 1920 x 1080 pixels) and is suspended by 8 chain hoists allowing for vertical movement when desired. 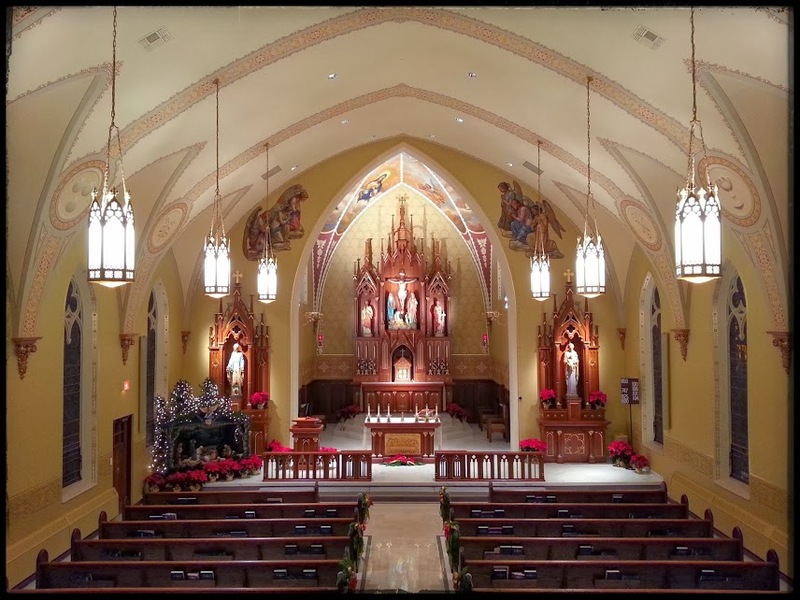 The difficulties of church sound – hard surfaces, no carpeting, pews with no padding. An acoustical nightmare. Add to that the mandate of meeting the aesthetics of the architectural space, and designing a sound reinforcement system becomes a major challenge. For Reedsburg, Wisconsin-based Peak Systems Group, they have found the solution – the RCF VSA2050 steerable array. “Traditional speakers, in order to effectively cover the space impact the visual,” says Peak design engineer Jason Keagy, noting that the visual, “is part of the worship experience.” And with a traditional design, acoustical issues of direct versus reflective sound also become an issue. Watermark Community Church, a prominent biblical community with a worship presence in three Texas cities, has chosen Renewed Vision’s ProVideoPlayer 2 (PVP2) to create dynamic, high-impact multiscreen video presentations at its 3,500-seat Dallas worship center. 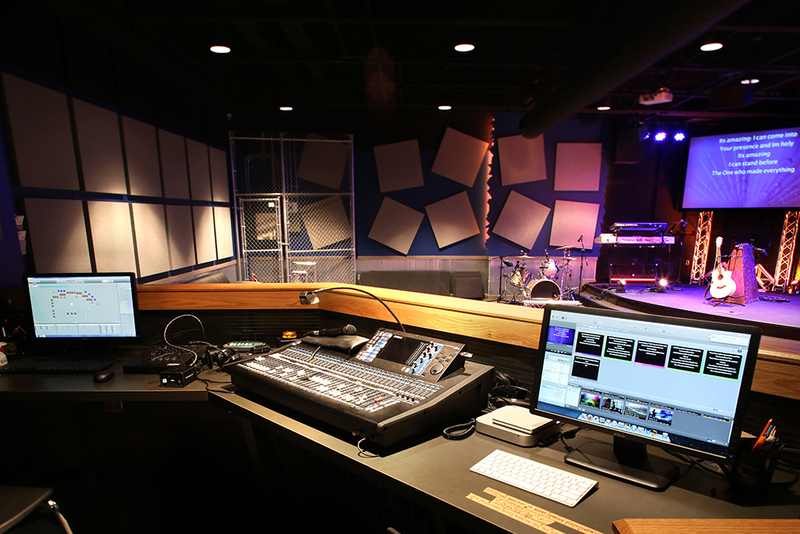 The PVP2 installation is a significant element of a larger technology upgrade, which includes a dedicated fiber network to connect its Dallas location with a 500-seat worship center in Fort Worth; and a third worship center opening in Plano in early 2015.